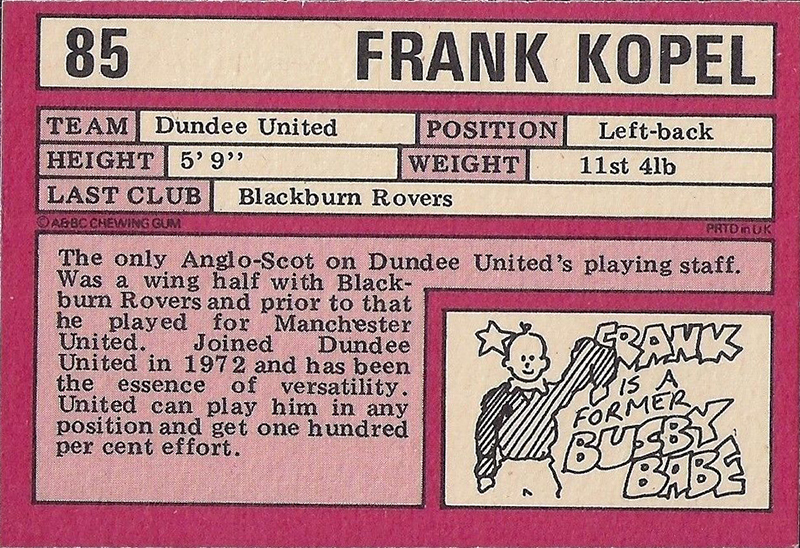 Frank started his senior career with Manchester United after being spotted in a Scotland Schoolboy trial at Ochilview in 1964. He turned professional in 1966 and made his first team debut in September 1967, coming on as a substitute in a League match against Burnley. He went on to make 12 appearances for the Matt Busby's side, alongside the likes of Bobby Charlton, George Best and Dennis Law, and was still at Old Trafford when they won the European Cup in 1968, appearing on the bench for some of the earlier rounds of the competition. 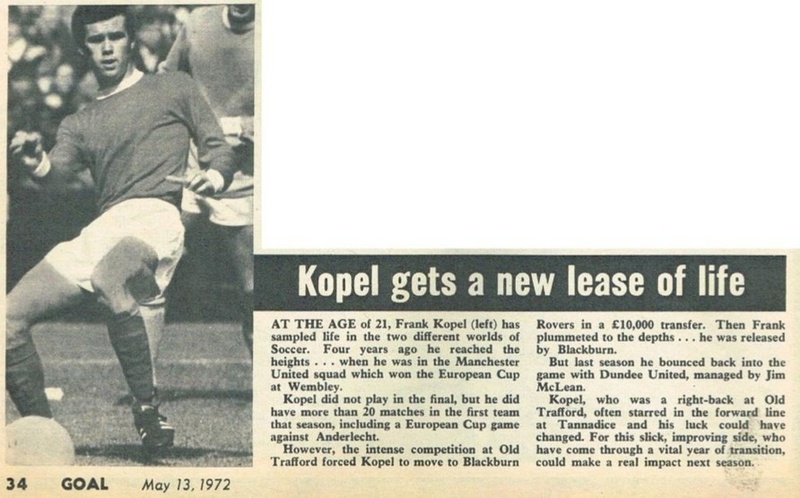 A move to Second Division side Blackburn Rovers followed, with a £25,000 deal in March 1969, but he only managed 25 appearances in two and a half years at Ewood Park. 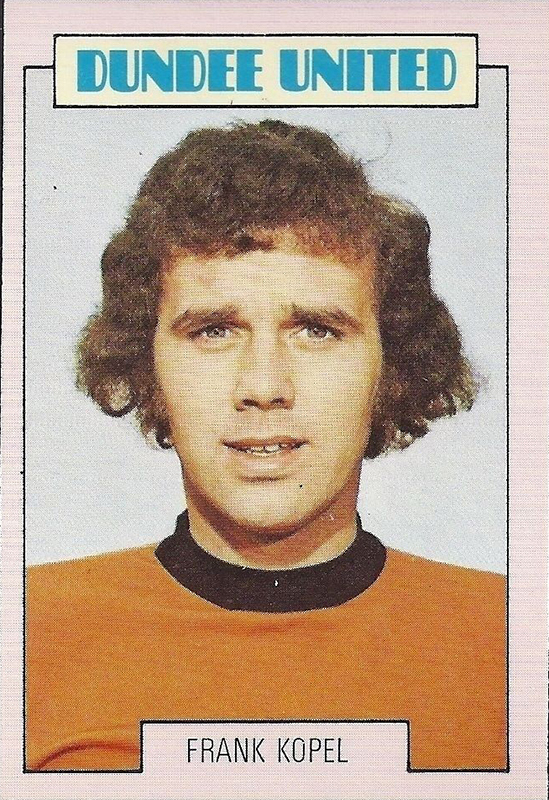 After Rovers were relegated, Frank was released in December 1971, and he became Jim McLean's first signing on New Years Day 1972, making his debut in midfield against Morton at the end of January. 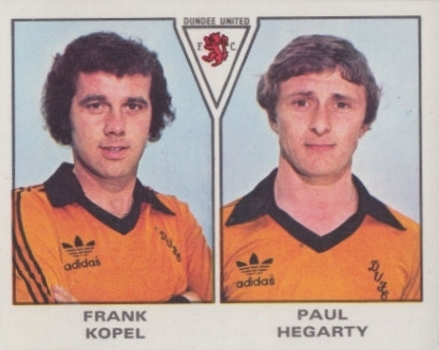 Frank played just occasionally over the rest of that campaign, but season 1972-73 saw him become a regular in the side, playing in either midfield or defence. 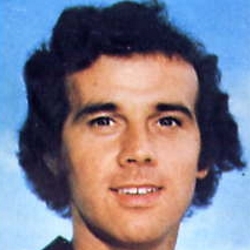 In the following season, he became the first choice left back, appearing in the clubs first ever Scottish Cup final in May 1974, and he held that position in the side for nine seasons, hardly missing a game. 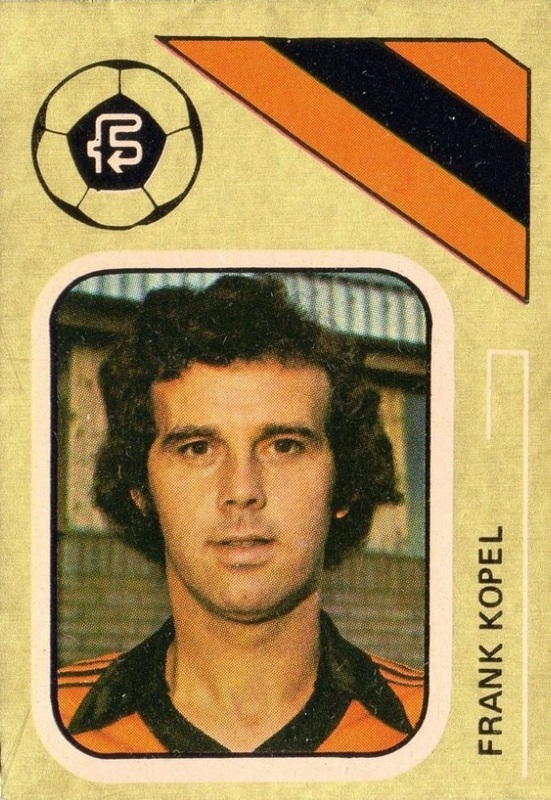 Kopel was a fixture in the side that finished in fourth place in the old Division One to qualify for the inaugural Premier Division in 1975, and then only just held on to their top-flight place in that very difficult first-ever Premier League season in 1975-76. 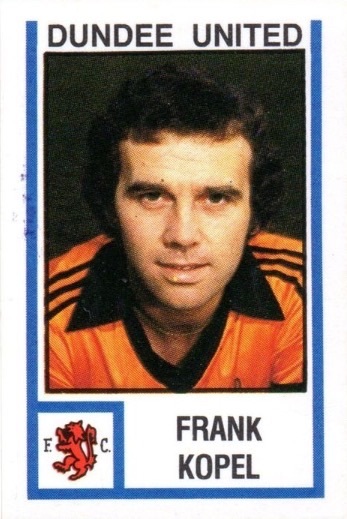 Not known as a goalscorer, Frank occasionally chipped in with a goal or two, including a first minute winner against Celtic at Tannadice in October 1978. Although will always be best remembered for scoring one of United's most spectacular ever goals. It came against Anderlecht in Brussels in 1979 - a volley from the edge of the box into the top corner securing United's passage through to the next round on the away goal ruling. Frank was one of the few original McLean signings that survived the transition as products of the manager's youth policy bore fruit. His experience and reliability were vital to the development of the younger defensive players like Dave Narey, Derek Stark & John Holt - both in Europe and domestically. 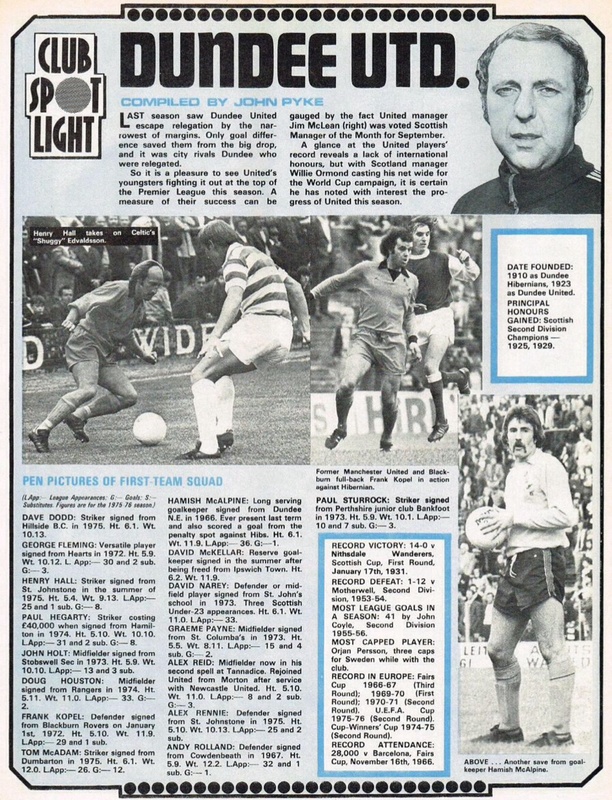 He was a member of the side that reached the Clubs first ever League Cup final, where he helped United hold out for a 0-0 draw against heavy Aberdeen pressure at Hampden. The tie went to a midweek replay at Dens Park where United ran out 3-0 winners to claim that historic first major honour. 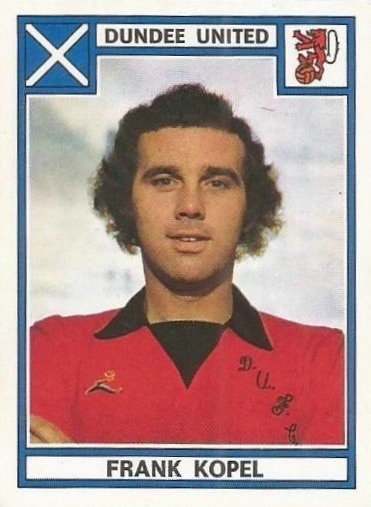 He collected a second winners medal the following year, as United swept aside neighbours Dundee at Dens Park as United retained the trophy in December 1980. A second Scottish Cup runners-up medal soon followed as United lost out to Rangers in the final at Hampden in May 1981. After ten years service, Frank was allowed to leave on a free transfer in February 1982, and was quickly appointed player/coach at Arbroath. 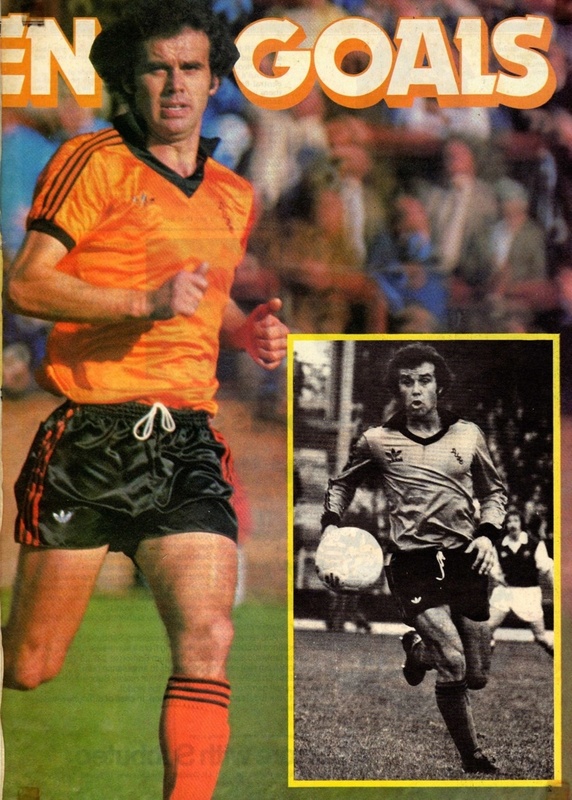 He returned to Tannadice in December 1983 to fill the need for an experienced defender in the reserves, a role he filled on several occasions over the next few years. In February 1989, he joined Forfar Athletic as a coach, working with former United players Henry Hall and later Paul Hegarty, but left there in January 1992 and left the game. 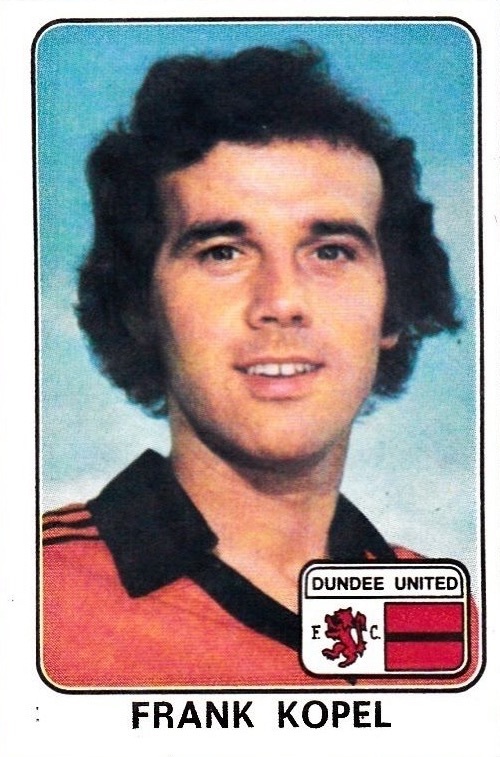 In January 2011 Frank was inducted into the Dundee United Hall of Fame. Frank was born on this date in Falkirk. 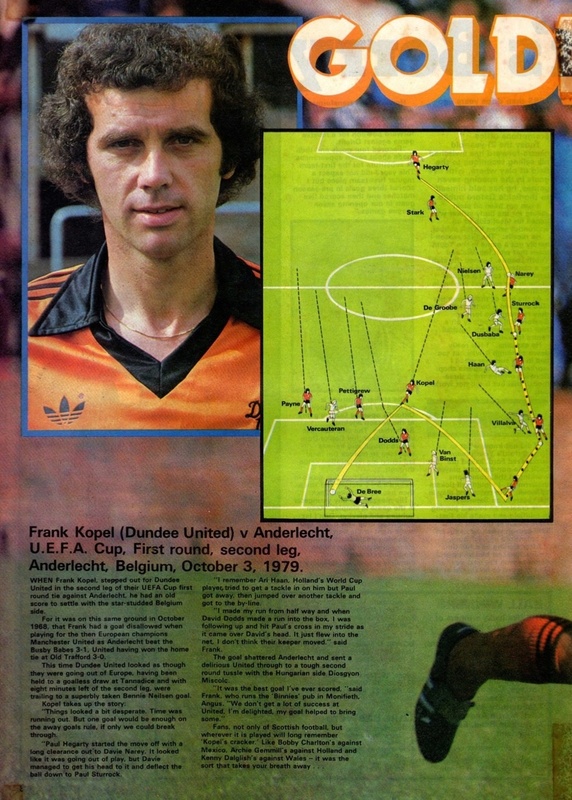 Dundee United introduced Frank Kopel into the team for this one with Jackie Copland dropping to the bench. Morton made seven changes to their team from their previous encounter! United were without forwards Knox and Traynor for this one. Meanwhile Hearts introduced young centre half John Gallacher for Allan Anderson. Rain had poured heavily ahead of the game and left the pitch very soft and muddy. Far-off Miskolc proved to be the end of this season's European road for United who had been hopeful of making up the one-goal deficit incurred in the 1st leg at Tannadice. However a combination of the strange surroundings, a virus affecting several of the players and an indifferent playing performance overcame United's attempt. 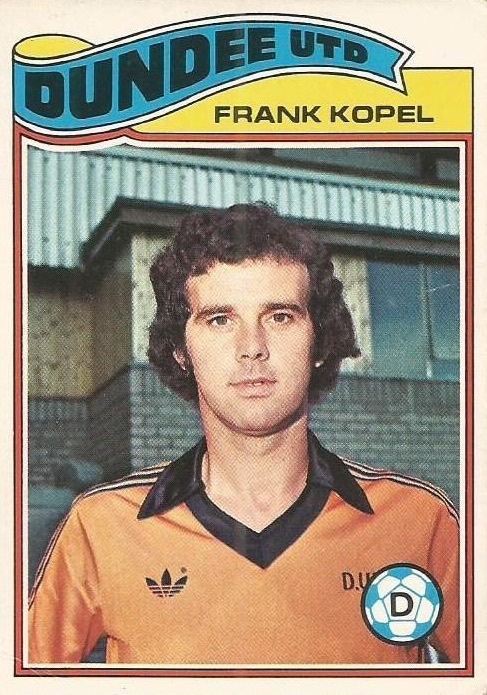 DVTK were through to the next round before Frank Kopel confirmed himself as United's only European scorer this season late in the game. Fixture congestion took United to Ibrox at a mere 48 hour notice, after the severe weather had again taken a swipe at the scheduled card. 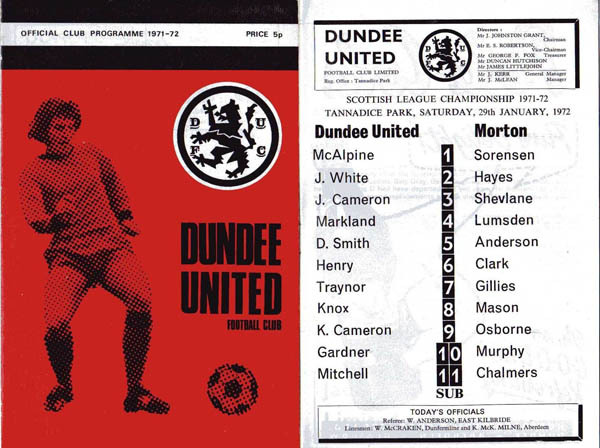 Our sixth consecutive match had been wiped out with the conditions, this time the Dundee derby at Tannadice. With Rangers' tie at Love Street also falling foul of the weather, the Scottish League decided to rearrange this match in Glasgow in an attempt to relieve pressure on the upcoming schedule, which included Scottish Cup ties and United's continued European action. The under-soil heating at Ibrox ensured Rangers had seen plenty of match practice, but, for United, it was their first competitive outing for over a month.